World-famous guitarists depend on Line 6 POD multi-effects for amazing tone in the studio and on stage. The free Mobile POD app brings these legendary tones to your iOS device. Mobile POD includes over 10,000 presets designed by artists, Line 6 and other players, so you can call up the right tone in an instant. If you want to go further, you can mix and match 32 amps, 16 stompbox and rack effects, and 16 speaker cabinets for an impressive array of sounds. 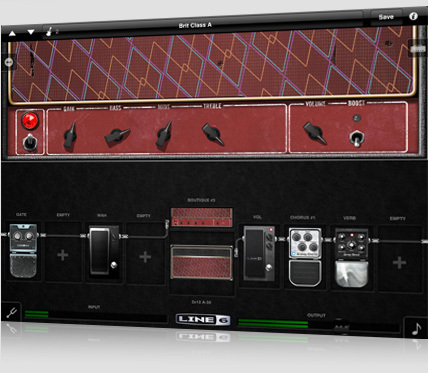 The intuitive interface makes it easy to tweak and save your custom tones. Mobile POD also lets you play along with your iTunes® library* using your custom tones. Sonic Port works with the award-winning Jammit app—the first to let you play along with real, multi-track master recordings from major artists. 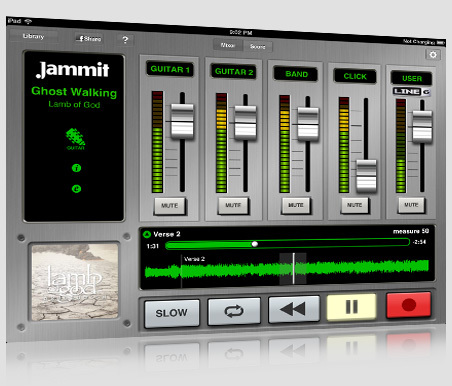 Jammit isolates individual audio tracks within original master recordings, so you can learn, jam and record along with your favorite songs as played by the original artists. You can isolate your instrument from the track for closer scrutiny, loop the track for extended practice or slow it down to a comfortable pace for learning. With Sonic Port as the guitar interface, Jammit loads perfectly matched Line 6 tones for a variety of its jam tracks, automatically changing the sound when needed as the song plays. Sonic Port makes it easy to connect your guitar or bass to your iOS device and start making music. Simply plug your instrument into the 1/4" guitar input, launch GarageBand, the free Line 6 Mobile POD app, or another CoreAudio app, and start playing. Pro specs—up to 24-bit/48kHz audio quality throughout, and 110dB dynamic range on the guitar input—translate to full, powerful guitar tones. Sonic Port also transforms your iPod touch, iPhone or iPad into a complete mobile studio. Track keyboards, mixers, CD players and other iOS devices using the 1/8” stereo line input. Plug in your favorite headphones and hear your audio in stunning clarity. 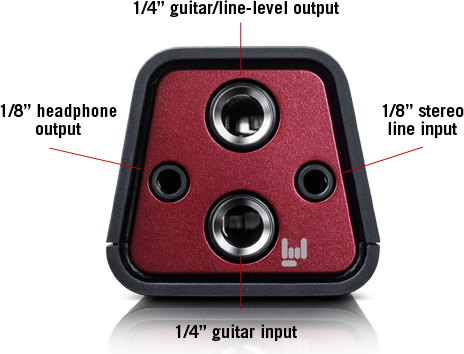 You can even connect powered studio monitors via the 1/4” mono/stereo guitar/line-level output. With Sonic Port and your iOS device, you can take the exact same tones from your home studio to the stage. Dial in your Mobile POD presets in the studio, then use Sonic Port and your iOS device to replace a heavy, cumbersome pedalboard when you perform live. Simply connect Sonic Port between your guitar and your amp using standard 1/4” cables—then use the Mobile POD app to instantly recall your whole effects chain for every song in your set list. It’s the easiest way to get the exact same tones every time.